Your (Virtual) Future Self Wants You To Save Up Experts say one of the biggest barriers to saving for retirement is psychological: It can be hard to save when retirement feels so far away. Now, new research has found a way around that barrier with technology that lets you "meet" a digital version of the person you're saving for — your retired self. Professor Hal Hershfield (left), 32, uses a computer program to get an idea of what he might look like at 70 (right). Now, new research has found a way around that barrier: providing a virtual glimpse into the future that could help motivate young people to save more for retirement. "When you make a decision now about yourself in the future, that distant self almost feels like a stranger," says Hal Hershfield of New York University's Stern School of Business. In fact, when we think about ourselves in the future we actually use the same part of our brain that we use when we think about a stranger. Hershfield and a group of researchers wanted to help young people vividly imagine their own old age, so they recruited college-age men and women, gave them goggles and sent them into a virtual reality laboratory where they encountered a kind of mirror. "Just like a mirror you would see [at] the bathroom sink in the morning," Hershfield says. "And in front of them they would see an image of their future selves." The image was digitally altered to make them look 68 or 70 years old, like special effects in a movie. 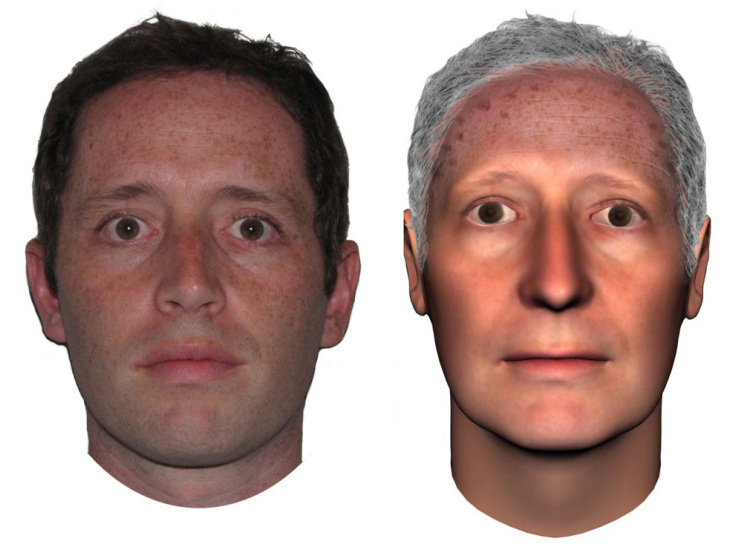 Half the people in the study saw a version of their older selves while the rest saw a virtual version of their current selves. Hershfield says researchers prompted people to chat while gazing at their image, posing questions like, "Where are you from? Where did you grow up? What are your likes, dislikes, passions, hobbies?" Some participants were asked to talk about similarities they shared with the avatar. Later, study participants were asked a series of questions about finances and retirement. Those who had seen their older selves answered that they were willing to put twice as much money into long-term savings accounts as those who had seen their current selves. "It's fascinating. It really did have an effect," says co-researcher Laura Carstensen, who directs the Stanford Center on Longevity. She says three variations of the study yielded similar results. "When people can really connect to themselves and say, 'That person at age 70, that's me, actually,' they tend to want to take care of that person more," Carstensen says. You can age your own photograph online through April Age or Face Transformer. Fair warning: NPR's Jennifer Ludden aged her mug shot in April Age and says it was not a pretty sight. It's an experiment you can try at home, if you dare. There are a number of online programs that age uploaded photos, but Hershfield warns that such programs use rough, generic overlays to achieve their effect. He and his fellow researchers say their aim is to create an avatar realistic (and attractive) enough for people to bond with their septuagenarian selves. To accomplish that, they used a sophisticated, time-consuming program that's now being developed for wider use. "You need to look at things like wrinkles and jowls and hairlines and hair colors, and to do that in an automated way," says Cathy Smith of the Center for Behavioral Finance, part of Allianz Global Investors, a sister company of Allianz Life. "The idea is to create a tool that either financial advisers can use with their clients, or that could be incorporated into the services that a 401(k) plan provider offers to their clients." Just imagine an employee orientation where you get to see yourself at 70 — now how much do you want to pony up for your 401(k)? What Do You Want To Do When You Grow Old? As we all live longer, Stanford's Carstensen hopes to see a cultural shift toward more long-term thinking. After all, she says, we're always asking small children what they want to be when they grow up. "Nobody ever says to you when you're in your 20s and 30s, 'What are you going to do when you're retired?' " she says. "'What are you going to be like? What will your hobbies be?' You know, 'Where will you be traveling?' "
If we simply imagined such things, she says, we'd likely make all kinds of decisions today that would make our real future selves much happier.